Inspire reading with this fun chart. Our Say-It Charts are BIG! Each chart is printed on a 17" x 22" sheet of posterboard. Take a journey into storyland... 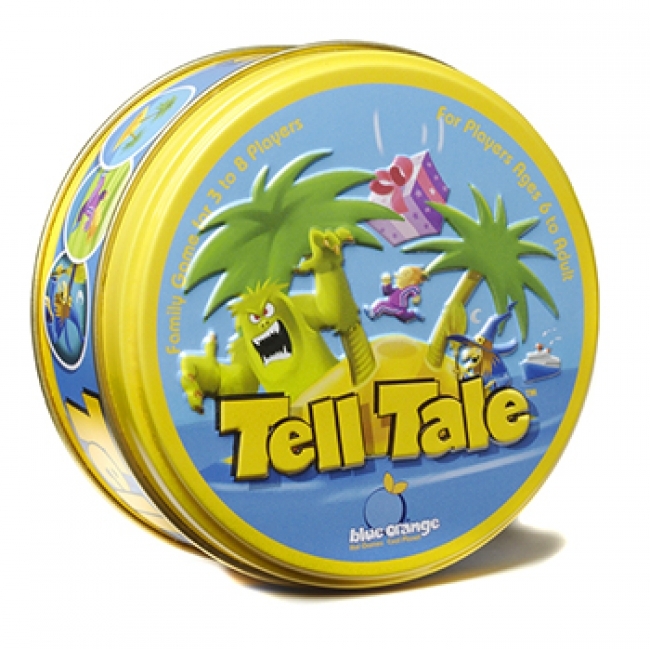 Whether engaged in a friendly contest or creating a story together, you will love the way Tell Tale gives your imagination a chance to shine. 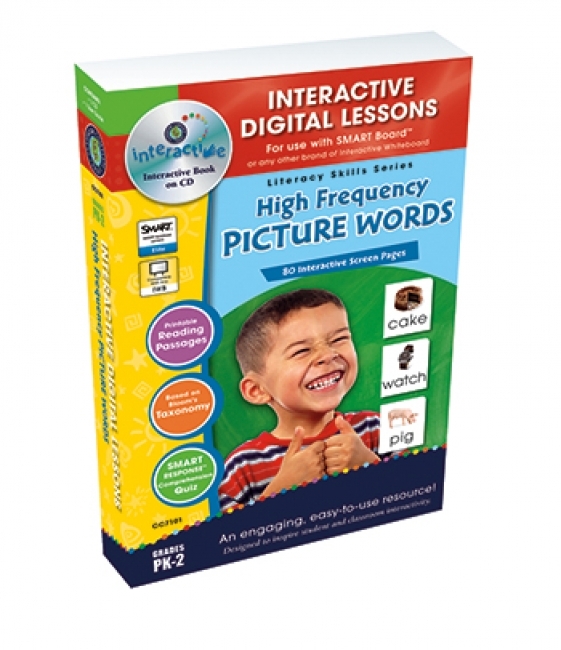 Enhance your student's sight word recognition with our engaging and highly interactive Sight & Picture Words digital lesson plan. Students will identify the 130 sight words and 120 common nouns using real life pictures as an aid. Picture association will aid young readers in developing anchor words to increase their oral and written language proficiency. 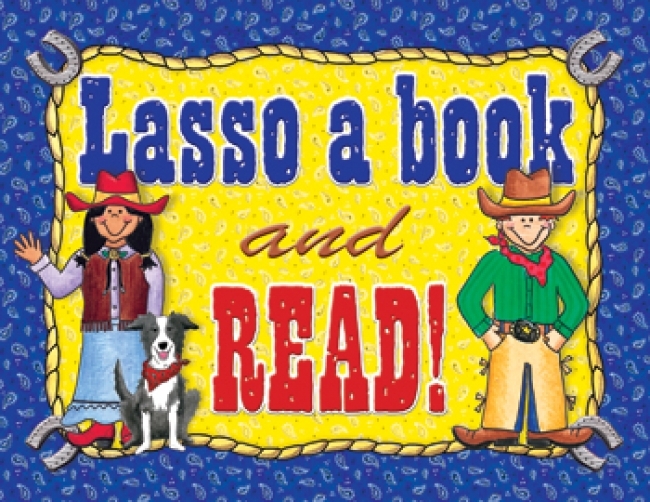 Also included are the 100 high-frequency words that make up almost 50 percent of everything that we read as adults. 80 readymade screen pages offers interactive activities, Dolch sight words, sight and picture words flash cards, crossword, word search, memory match game, and even supporting video & audio. 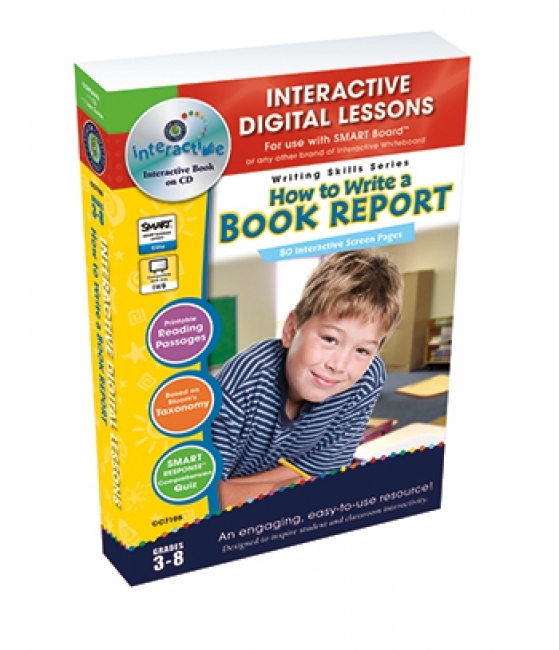 A SMART Response™ comprehension quiz is available for SMART Notebook™ users. For use on both Mac and PC computers and any brand of Interactive Whiteboard. 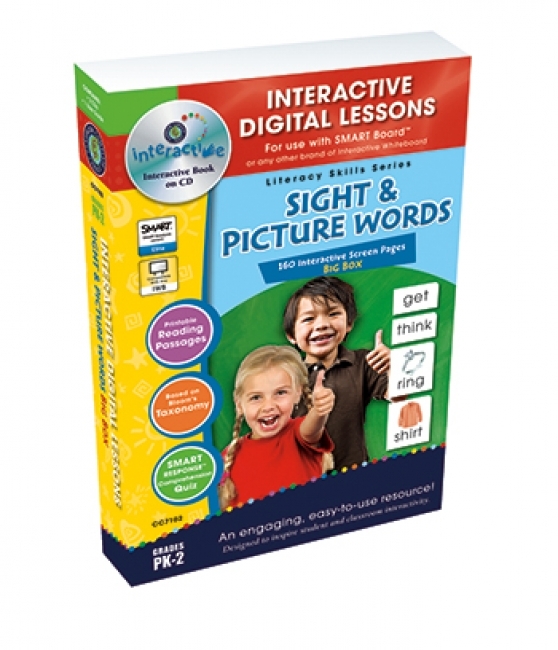 Students develop anchor words to increase their oral and written language proficiency with our Sight & Picture Words Series digital lesson plan for Interactive Whiteboards. Students will identify the 130 sight words and 120 common nouns using real life pictures as an aid. Using picture association, students will increase their sight word recognition, vocabulary and comprehension. Also included are the 100 high-frequency words. 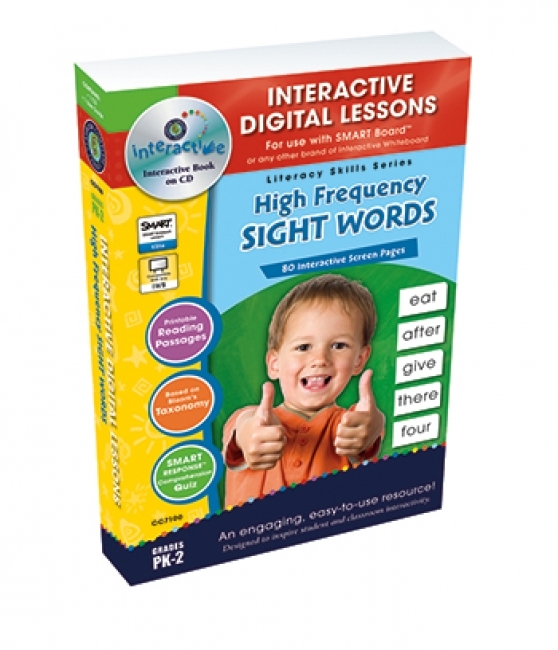 80 readymade screen pages include interactive activities, "Dolch" sight words, sight and picture words flash cards, crossword, word search and memory match game. For use on both Mac and PC and any brand of Interactive Whiteboard. 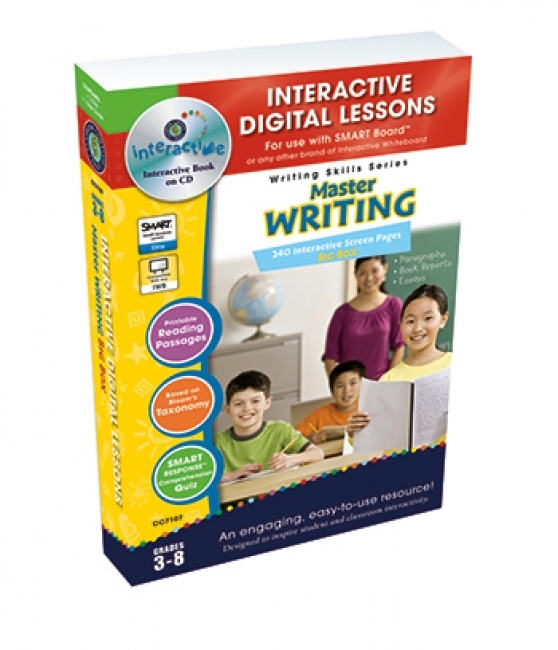 Become a Master Writer with our engaging and highly interactive Writing Skills Series digital lesson plan. 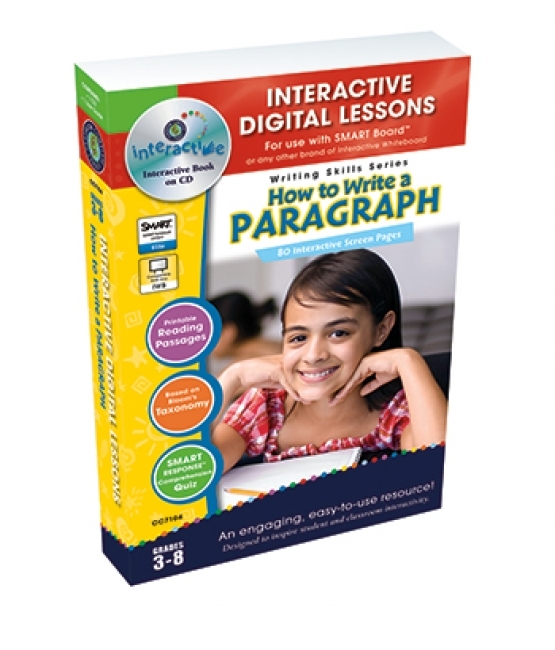 Students will learn the fundamentals to writing a paragraph, book report and essay. We offer clear and concise instruction in the drafting and revision phases. We also take the fear out of writing essays while giving students the tools to comprehensively express their point of view. Graphic Organizers are paired with each topic, allowing students to interactively practice what they have learned. 80 readymade screen pages offers reading passages, before and after you read interactive activities, crossword, word search, memory match game, and even supporting video & audio. 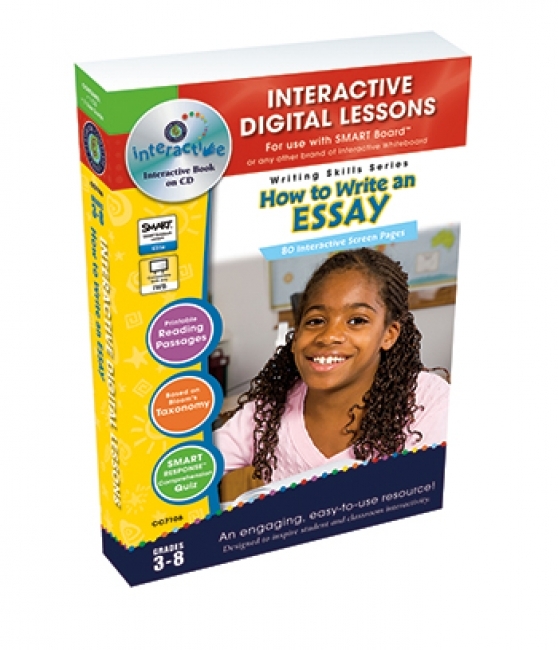 A SMART Response™ comprehension quiz is available for SMART Notebook™ users. For use on both Mac and PC computers and any brand of Interactive Whiteboard.